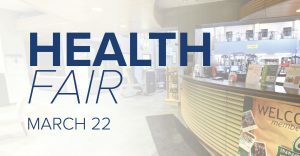 Franklin Rehabilitation will be co-hosting a Health Fair at Innovative Health & Fitness on March 22, 2019 from 8 to 11 am. 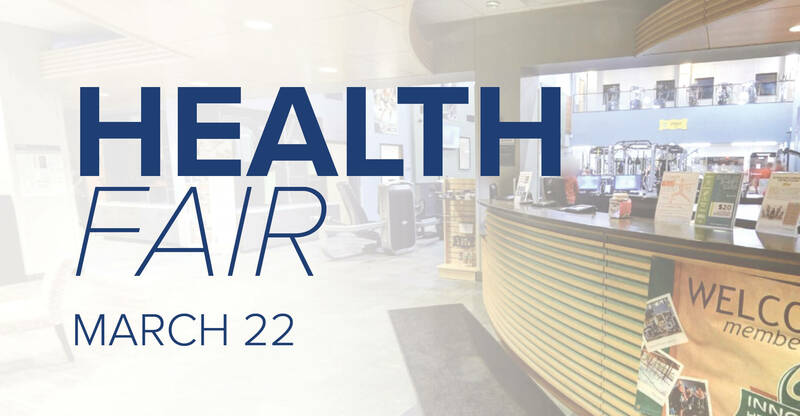 This event will include complimentary postural analyses, vertigo screenings, and an opportunity to meet several members of our team of physical therapists. For more information, call us at (414) 448-3097 or view the event on Facebook. As part of our Thanksgiving food donation drive, patients and staff brought in non-perishable food items throughout the month of November. Those items were then matched by Franklin Rehab in monetary form. 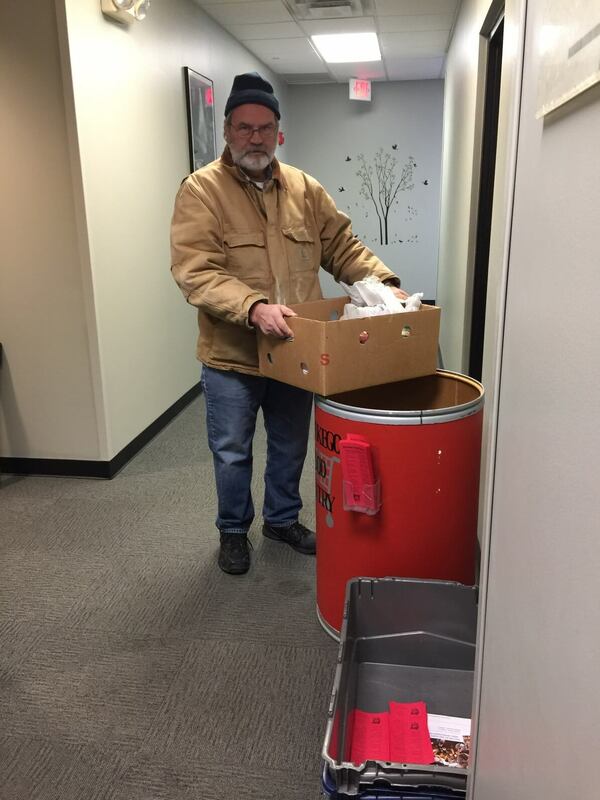 After the drive was completed, volunteers from Muskego Food Pantry picked up the items. In addition to several food items being donated, a check in the amount of $422 was also given to help with the cause. Franklin Rehabilitation Physical Therapist Jessica Blievernicht spoke for Career Day at Forest Park Middle School in Franklin about what it’s like to be a Physical Therapist. The students, who were there because they expressed interest in the profession enthusiastically welcomed Jessica and were eager to hear about this potential career path. 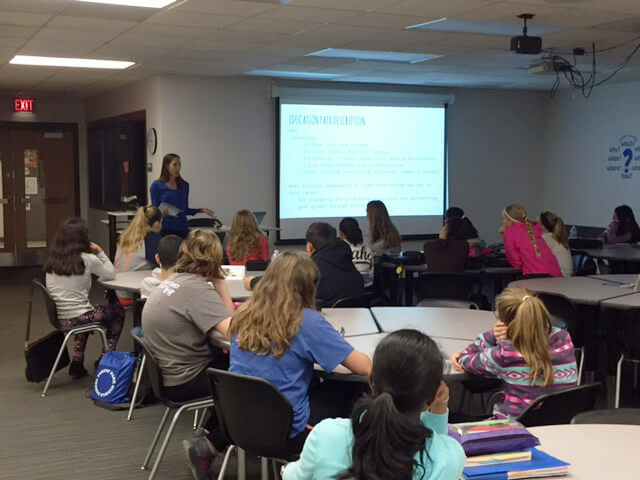 Nearly 35 students attended the event on Nov. 15, 2016. The area middle school holds the Career Cafe event monthly.